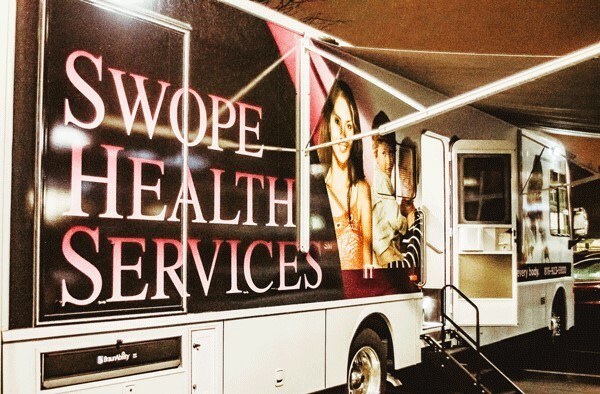 Swope Health provides transportation qualified individuals with appointments or those enrolled in other services at Swope Health Central. 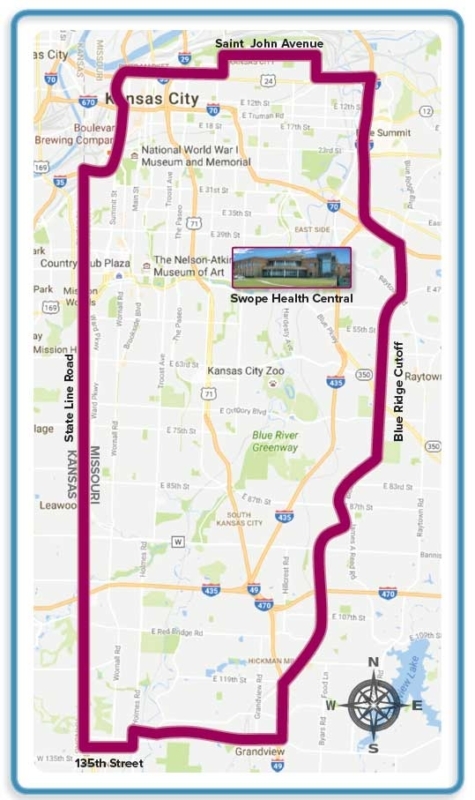 This includes clients in our community day program, those insured by Medicare, and individuals who need a ride from Swope Health Services to their home (in this instance, a small fee of $5 applies). Our pick-up radius is bordered by St. John Street (to the north); 130th Street (to the south); Sterling Street (to the east) and State Line Road (to the west). This includes the following ZIP codes in the table below. To request transportation services, please call 816-599-5575. Rides must be reserved at least 5 days in advance of your appointment to be placed on the pick-up schedule. NOTE: Additional transportation options may be available. Check the Missouri Department of Health and Senior Services’ transportation resource catalog for more information.